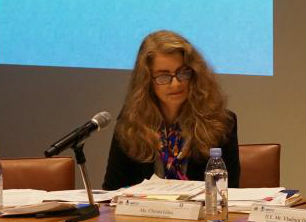 Christa Giles was the Deputy secretary of the United Nations Disarmament Commission and second wife of Indian politician Shashi Tharoor. She married Mr Tharoor in 2007, when they were both colleagues at the UN. A birth chart (also known as kundli, janma kundali, or horoscope) is a map of heaven at the time of birth. Christa Giles's birth chart will show you Christa Giles's planetary positions, dasa, rasi chart, and zodiac sign etc. It will also allow you to open Christa Giles's detailed horoscope in "AstroSage Cloud" for research and analysis.